At Berkut Systems we pride ourselves in being flexible, a diversified company, engaged in several areas - all generated as a result of a passion for the sports, the hobbies, and areas of work of each of person on the team. We provide unique services and custom software for clients looking for that "something extra". 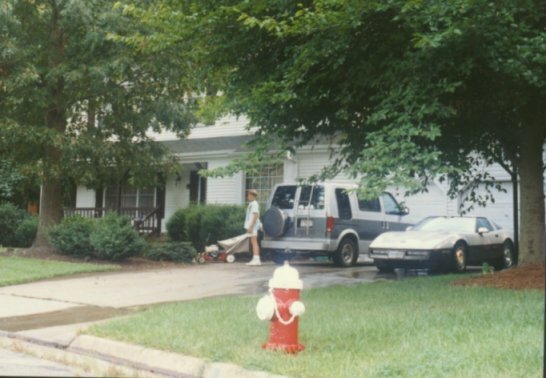 Shown on these pages are some of our specialty areas, along with applications we've developed. If you're looking for someone to provide you quality software, you've come to the right place. Pipe Repair - Anyone who's ever raced in the dirt knows that sooner or later they'll be shopping around for a new exhaust pipe when the latest miscalculation results in a huge dent in the exhaust system. We find that too often the riders buy a new pipe, when (for a fraction of the replacement cost), they can get their original one repaired. 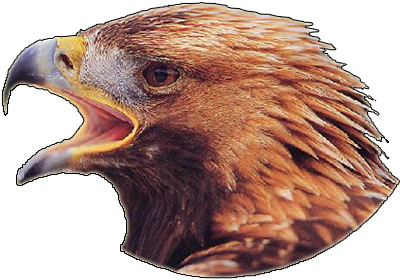 Click here to learn more about what Berkut Systems can do for you. Click here to continue. Scoring Software - Click the picture to the left for information on the worlds best software for scoring Hare Scramble, Qualifier, and Enduro off-road motorcycle events. Used throughout the United States, Canada, and the United Kingdom. This is a very detailed, in-depth system, with more features than the average user will ever need. The software is the result of SEVERAL years of development by an individual passionate about the sport of off-road riding. It consists of over 47000 lines of code, providing users with a reliable, intuitive interface. The system includes a very detailed help system - more than you'll ever need in such an intuitive system.. The system has been featured on SpeedVision, and in French, Italian, and Spanish magazines. The system is extremely flexible - able to support users through manual data entry, or via barcode, or via transponders. It is the only software available giving users the ability to score Hare Scramble, Qualifiers, and Enduro events in a single package. Click here to continue. 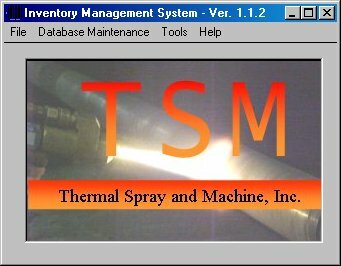 Inventory Management / Barcode Systems - Click the picture to the left for information on a system developed to manage the inventory for a machine shop company. This software enables users to track customers, and products, never having to enter the same data twice. Once you enter a product, all future references to that product are accessible via user-friendly access to the database. A unique feature of this software is the way it's able to produce custom barcodes meeting Government delivery specifications. Click here to continue. Rolodex Software - Click the picture to the left for information on a rolodex used by a company in Montana. This system incorporates an easy to use database, including a sophisticated (yet easy to understand) search feature. 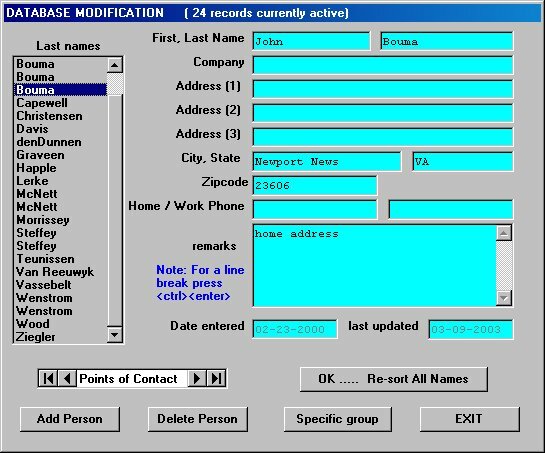 In addition to maintaining the list of points of contacts, it enables users to update the contents of the database with free-form text - and then search the database for any combination of words or phrases. Another unique feature of the system is it's ability to export database contents using custom search criteria, using the results to create mailings based on the search results. Click here to continue. Email For The Submarine Force - Click the picture to the left for more information on the system currently enabling members of the US Navy's submarine force with the ability to send and receive email while underway. This sophisticated system is comprised by a series of software applications used both ashore and afloat. Without this system, submarine sailors would not be able to either send or receive email with their families at home. The system is currently processing roughly 100,000 email per month. Click here to continue. 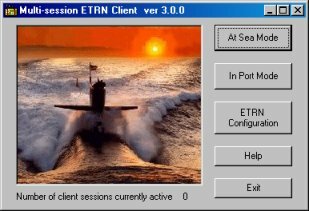 Pushing Email - Click the picture to the left for more information on the ETRN system - a system enabling units of the submarine force to initiate a mail server ashore to begin processing all email for their domain. 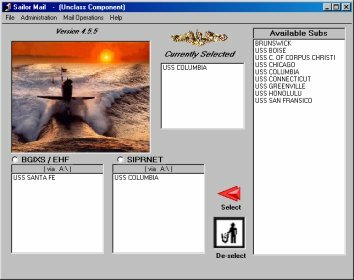 Without this software - or something providing similar functionality, there is a real possibility that submariners would not be able to receive email underway. This is not a component of the Sailormail system depicted above. Click here to continue. Email Modification - There's a lot going on behind the scenes when you send an email to someone in the Submarine Force. Due to system limitations the Navy is forced to optimize some of the email - which can result in email automatically being modified by the Sailormail system. Click here for a description of what's really happening when you send an email to a person onboard a submarine and you receive a notice back, saying your email has been modified. The bottom line is that with limited bandwidth to the submarine, we have to ensure maximum efficiency of that bandwidth. The sailormail system takes care of this for you. Click here to continue. The ideal soldier is one who can carry an unlimited amount of weight in his backpack as he heads into battle. Obviously there's a practical limit to what a soldier can carry - but what is that limit, and what is the impact of carrying that one more item? The US Army recently contacted Berkut Systems, looking for a means to assess the mobility of a soldier in various battlefield configurations. 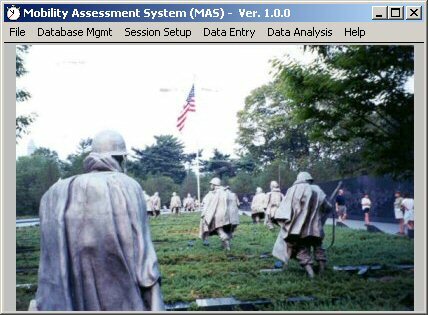 Click here (or the picture to the left) for more information on the system developed by Berkut Systems to analytically monitor the effect of varying loadouts in the mobility of a soldier as he heads into battle. 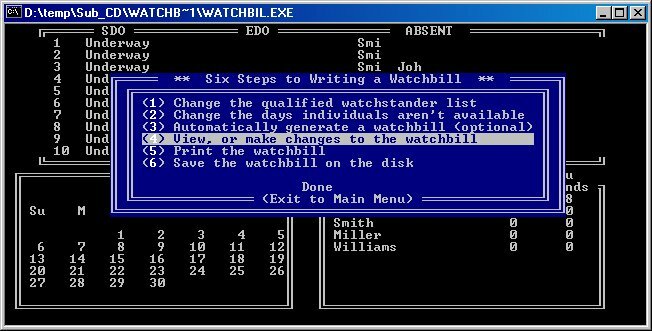 Watchbill - Click the picture to the left for a description of a watchbill system developed to simplify the process of writing watchbills onboard units of the submarine force. This software is intended for use in drafting the watchbills for the Ships Duty Officer, the Engineering Duty Officer, the Ships Duty Chief, and the Engineering Duty Petty Officer. Click here to continue. MRTG - MRTG (Multi-Router Traffic Grapher) is widely recognized as one of the best systems available for monitoring activity in routers. One nagging problem is that spurious data brought on by an anomaly in a network can result in spikes in the graphs MRTG produces, which don't reflect what's really happening in the system. I've created a utility which enables users to reset (or delete) individual points to some lower value. You can find out more information on this utility at here. Outlook "Auto-Complete" - If you're using Microsoft Outlook, the system will attempt to Auto-Complete the address as you're typing it. Software and Web developers often have need for an application which can access this information. Berkut Systems has developed an application which extracts all of the email addresses used by the Auto-Complete system. Click the Office Logo to the left, or click here to download an application which extracts these email addresses into a simple text file. A recent upgrade provides an advanced screen which enables you to extract addresses from virtually any file - even binary files. Please note - in the "advanced" section, there's no guarantee that everything extracted will be a valid email address. The system looks for anything in the format of aaa@bbb - with some rudimentary 'rules' applied - such as the email address cannot start with a ". ", and there must be at least 2 valid characters to the left and to the right of the "@". We were recently involved in assisting ABC's Good Morning America show conduct their broadcast live from onboard a submarine underway in the Atlantic - something never before done. Click here for some photo's of the work and the people involved. We sometimes get requests for software that makes us smile. 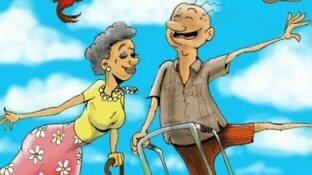 We recently received a request for software for scoring an event hosted for Senior Citizens. The 'winner' is the person who comes the closest to his projected elapsed time. You can download an evaluation version of the software by clicking on the graphic to the left. Are you interested in playing with something absolutely worthless? Try entertaining yourself by playing Rock, Paper, Scissors - for hours. This little utility will solve all of your problems by making all of your decisions for you. 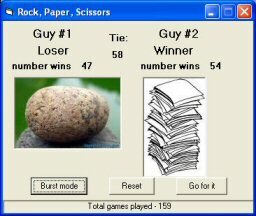 This mindless game is the result of a few minutes of free time following some office banter about the Rock / Paper / Scissors decision process. Click the graphic on the left to download the app. Enjoy. There's a fascination with prime numbers, with a lot of time and computing power being used identifying the next one. 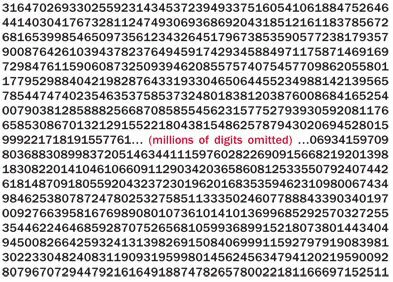 The distributed computing project called GIMPS, or Great Internet Mersenne Prime Search, has confirmed it has discovered the largest prime number ever at almost 13 million digits long (shown at the left). The prime number in question was discovered by a UCLA computer, with the GIMPS software installed and maintained by Edson Smith. However, if you'd like to play with a system for finding those prime numbers, you can click here to download a simple system developed by Berkut Systems. Click here for the business office, - or here for the previous business office. Click here for a photo of the Berkut System warehouse / shipping center. or here for the previous shipping center. Click here for some exposure to the ultimate challenge - a sailboat race around the world - singlehanded. Click here for a to view a movie of another business trip.